Ever since it’s establishment in Aug 2010, Triangle film company has introduced & set a benchmark in Indian television with high-quality entertainment, CG television series meant for Indian audiences. The Company has nurtured creative talent, a strong and experienced management team and advanced filmmaking technology and techniques. 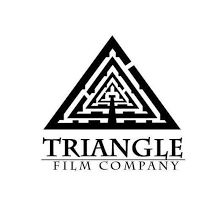 Triangle film company has produced unforgettable shows like ‘ Devon ke Dev Mahadev’, Hatim, Siya ke Ram, Prem ya paheli- Chandrakanta, with an immense experience of producing such grand shows Triangle film company is now all geared up to foray into producing films. Alongside being a market leader in producing TV serials, Triangle film company also has it’a sister consultant company named Vertex Volt which is well known for its stunning visual effects & animation in Indian Television & films. Vertex Volt has dedicated stat-of-art facilities with technical, creative & production capabilities to create new generation of VFX & Animation TV series, feature films, documentries/short films, music, videos, DVD’s, commercials, title montages, game cinematics, medical animations, architectural walkthroughs and other related products.